Crystal Quartz Plane Wand by Natural Agate makes a protective shield around you. 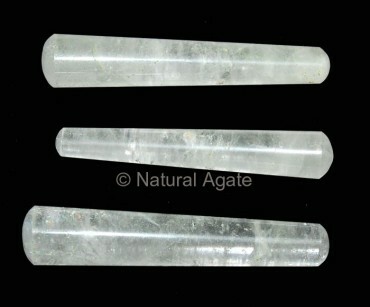 Crystal is known for its healing property. This wonderful massage wand can cure any ailment and mitigate pain.